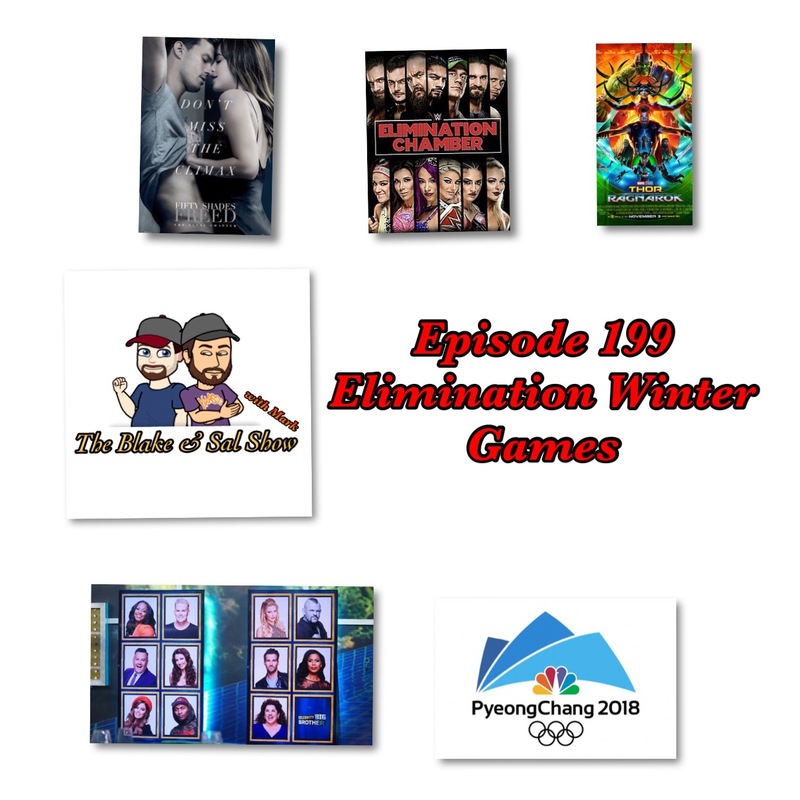 After Blake reviews Fifty Shades Freed, Mark reviews Thor: Ragnarok and Sal tells us about Celebrity Big Brother, they get into the Olympics, look at the epic gauntlet match from Raw, discuss the new WWE PPV schedule and the WWE Mixed Match Challenge and then preview WWE Elimination Chamber. Oh yeah and Scotty is in studio too. To participate in Episode 200 next week, ask a question using #BnS200 or email the show blakeandsalshow@gmail.com.